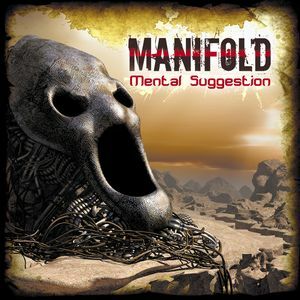 Mental Suggestion is the second long awaited album by well known Moscow duo Manifold. Again Edward aka Cybered and Alexander aka Sulima prepared for us something special and very powerfull on effects. They have spent long time researching of how to deliver people to parallel worlds from outside our galaxy straight from the dance floors they’ve performed at. Listening to this album you will get an invaluable experience of travelling to mystical dimensions using fullpower psychedelic sonic vibrations craftfully presented by Manifold. Are you ready for this? Nearly 3 years have passed since Manifold’s debut album called X-Ray Attraction was released. During this time the project got further fruitful development. Their new album is a result of huge work on combining together different styles and techniques for creating music: ranging from hypnotic techno to GOA melodies, from energy of electro to aggressiveness of darkpsy. On this CD Cybered and Sulima also mix influence of different periods of development in electronic music - all drawn from the best and well-forgotten old one, but with a fresh intelligent approach in making arrangements. As one of trademarks Manifold always use latest technologies in sampling and sound synthesis, and not forgetting about the "fat" the old analog equiment. Mental Suggestion brings 9 absolutely new and charged with "full power" energy tracks. You will defenetly mark massive nighttime stomper "Sadist", mystical melodies in "Doom", involute story of "Spiral", free night flow of "Cowboy Whistle" as well as many other surprising moments. For sure this is an album that not to be missed by any serious psycheldelic trance lover! Buy CD at Psyshop, BeatSpace, Neptun Wave, Goa Store. Buy mp3/wav at Beats Digital, DistElectronic. http://sunstation.ru/releases/sstar06/ Listen to music + read reviews. Buy CD at Psyshop, BeatSpace, Neptun Wave, Goa Store Juno Records Teknasia. Buy mp3/wav at Beats Digital, DistElectronic, Juno Downloads, Cytopia, Audiojelly, Armada Downloads, Psymp3, D-A-R-K, Etopia, Judge Music, M8 Downloads, Trance Pool, Digital Deejay. spezielles album dass sicher nicht jedermanns sache ist, wer aber den zugang zu diesem sound findet, der wirds lieben! Das isch fett kennt öbert ähnlechs züg?